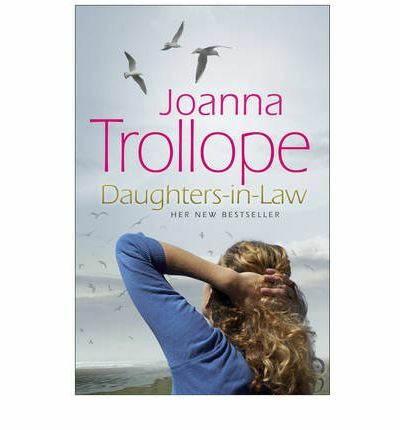 I found out today that Joanna Trollope's latest novel is set in Suffolk - in fact just down the road at Shingle Street. I was on to the case straightaway and polished off the book overnight. It's called 'Daughters-in-Law' and was a pleasant enough read. But nothing really happened! I've only read one other Joanna Trollope so I don't know whether this is typical of her writing. This story dealt with three young wives trying to please their domineering mother-in-law, while at the same time seeking to assert their own way in life. One wife didn't toe the family line and everything and everyone falls into a (mild) state of disarray. Ultimately there is a resolution, although this came about rather too easily for me. But, for a holiday read, or an escape from the crises in the news at the moment, I suppose there's nothing wrong with wanting everything to work out in the end. As regards the setting - there was a fair bit of name-dropping for Shingle Street, Aldeburgh and Snape, but no real sense of atmosphere, and I didn't feel the author had a passion for these places. In fact the wives returned to London, and there was a sense that this is where Joanna Trollope is happiest.